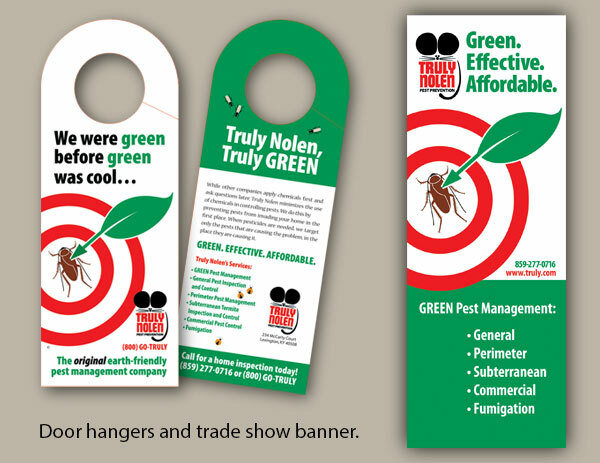 Truly Nolen Pest Prevention in Lexington, Kentucky, contacted the Arion Group to help them increase awareness of their “green” pest management services. 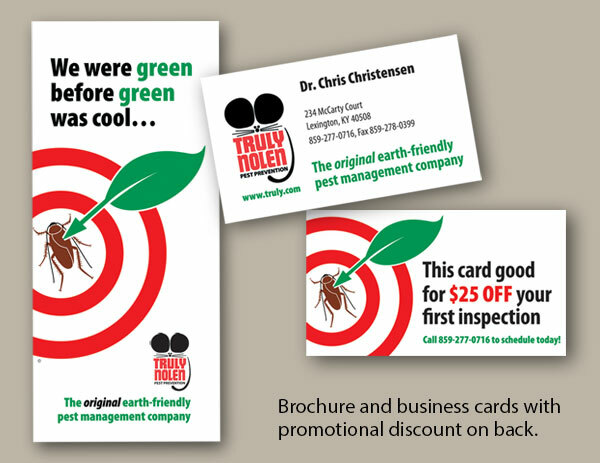 For years Truly Nolen had provided environmentally friendly solutions to the most troublesome pest problems. While other companies applied chemicals first and asked questions later, Truly Nolen minimized the use of chemicals in controlling pests. To view all the pieces of the campaign, see the slideshow below. For help with marketing your new business service, contact us today.